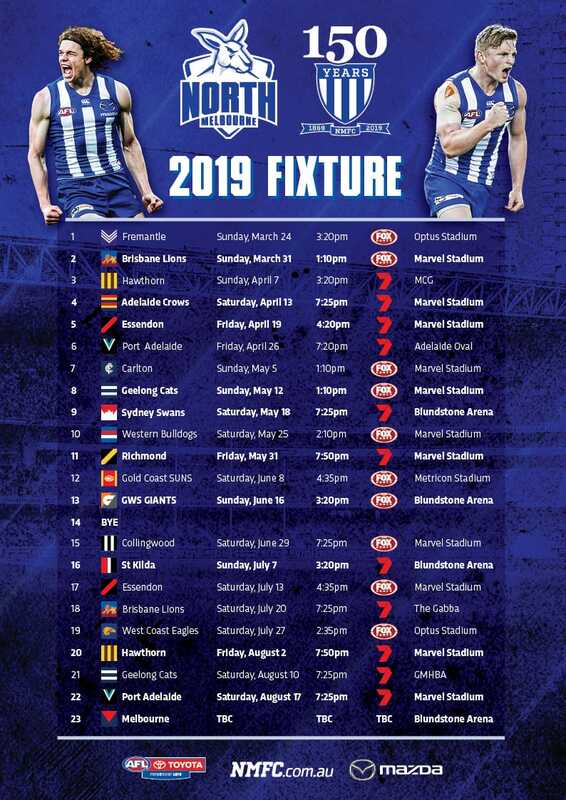 It was a historic day at Casey Fields as the North Melbourne Tasmanian Kangaroos secured a win in their first competitive hit-out against Melbourne. In an encouraging four-quarter performance, the young Roos showed spirit and attacking intent, hitting the scoreboard within minutes of the opening bounce. The first-ever goal for North’s AFLW side came from the boot of the recently drafted Daisy Bateman, who replicated her goal-kicking heroics from the VFLW. Despite the promising start, Melbourne showed its quality, fighting back from a scoreless opening term to enter the main break with a seven-point buffer. A dominant third term saw North once again restrict Melbourne, this time keeping their opponents goalless, and eventually recording a solid win. “The scoreboard is obviously important in footy, but it was more practicing with the scoreboard,” coach Scott Gowans told North Media. “You come up with a game-plan and until you actually practice it against an opposition that doesn't know what you're doing, you’re a bit panicky. “I saw enough today to suggest that the girls have started learning that, and how we want to do it. Working in a variety of roles, including a brief stint in the ruck, Gillespie-Jones brought a physicality to the game that didn't waver for four tireless quarters. Gillespie-Jones proved increasingly difficult to handle, highlighted by a sequence of play in the final term, where three opposition players were needed to bring the towering presence to a halt. The crafty mid-forward showed glimpses of attacking brilliance, doing a mountain of work to link-up with fellow forward Mo Hope as both finished the afternoon with two goals apiece. Had it not been for Ash Riddell’s highlight-reel effort in the late stages of the game, Abbatangelo would’ve boasted bragging rights for her brilliant dribbling effort. Leading the forward line, Hope brought enthusiasm and a wealth of experience to North’s forward stocks. The 30-year-old is clearly enjoying her football, which was evident in the way she pursued the footy and marshalled her younger teammates. Hope ended with two majors, an ample reward for her clever marking and goal-sense. While it was a practice match scenario, both teams weren't going to give an inch in the physicality stakes. From the get-go, the tackling was ferocious and the attack on the ball unrelenting. Brittany Gibson set the tone for her teammates with several big tackles, while Nicole Bresnehan and Jess Trend saved several goals with their close-checking in defence. Much has been made of North’s off-season recruiting, with some high-profile signings committing to Arden Street in recent months. However, it was the less experienced recruits, including the likes of Georgia Nanscawen and Beth Lynch, that caught the eye. “I think that’s the most pleasing thing that I got out of today,” Gowans added. On a day where goal-scoring opportunities were seldom offered, North hit the scoreboard with remarkable accuracy, booting nine goals from 11 shots. “I think what winning does on a scoreboard, even in a practice match, it just builds belief. The more you build belief, it creates momentum," Gowans said. 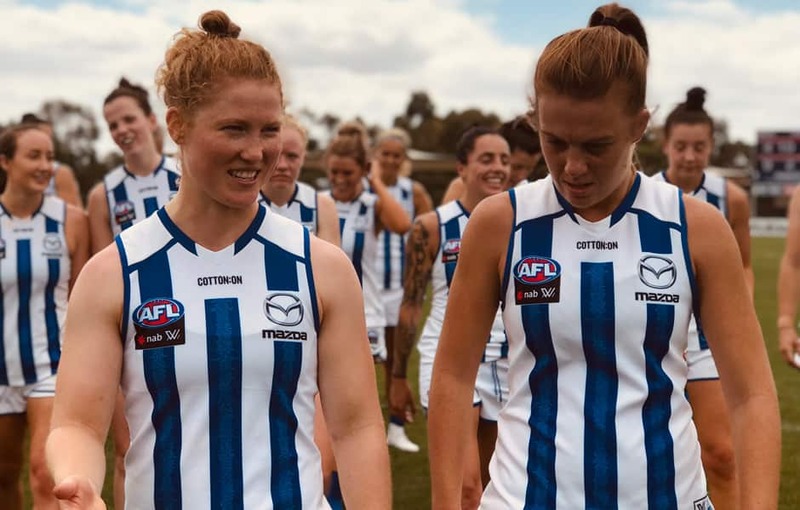 “They’ll (the players) be able to draw on that in Round 1 knowing that they’ve played an opposition, an existing AFLW team, that actually plays pretty good footy.